Burnett Medical Center is pleased to offer orthopaedic services "close to home" through Orthopaedic Surgeon, Patrick Hall, MD, MBA, FAAOS. Dr. Hall is a visiting specialist from Orthopaedic Associates in Duluth, Minnesota and sees patients every Monday in the Burnett Medical Center Specialty Clinic. Dr. Hall graduated from the University of Minnesota Medical School and completed his Orthopaedic Surgery Residency at the Mayo Clinic Graduate School of Medicine in Rochester. He is Board-Certified in Orthopaedic Surgery and Sports Medicine and is a fellow of the American Academy of Orthopaedic Surgeons. 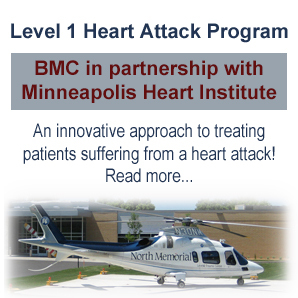 Contact BMC today to schedule a visit with Dr. Hall. If you are in need of a referral, please feel free to schedule a visit with one of BMC's primary care providers, 715-463-5353 or 800-293-5353.